Holographix’ optical design team fully utilizes the unique abilities of Holographix’ proprietary replication materials to achieve the highest performance possible for our customers. 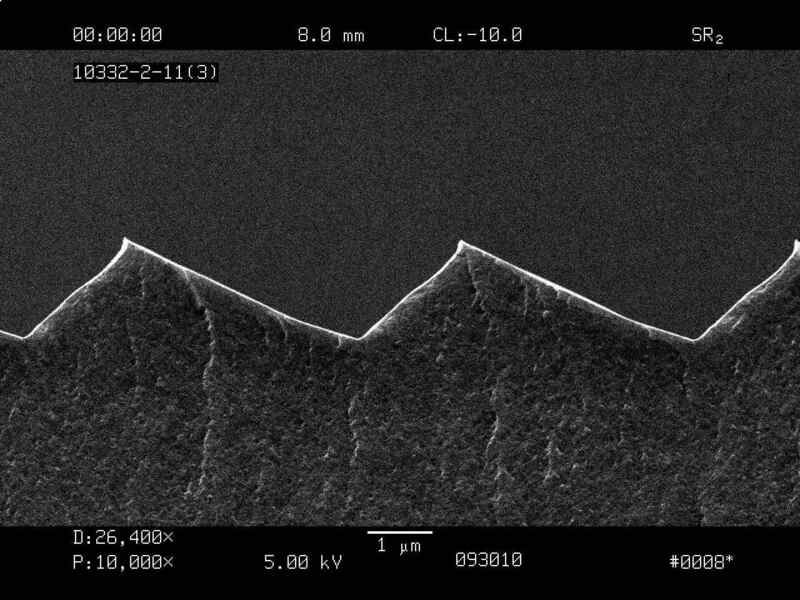 >90% diffraction efficiency with low stray light. 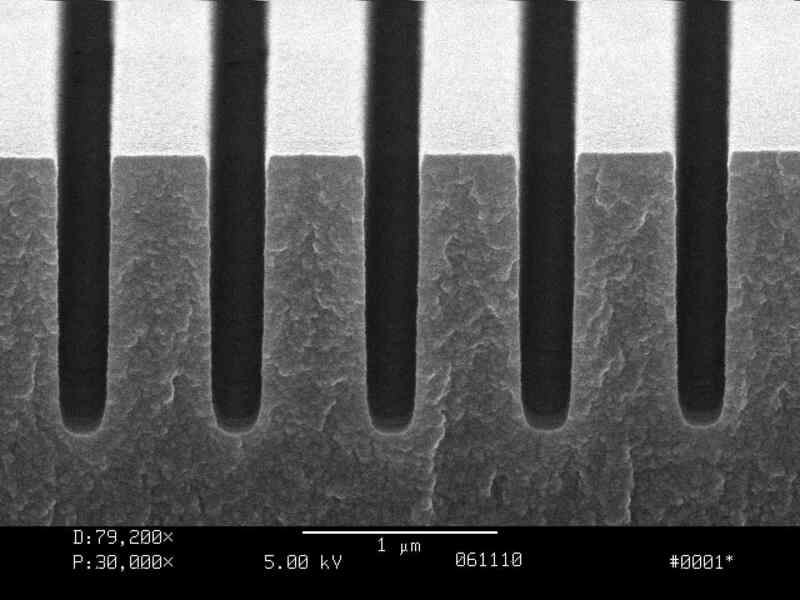 Our customers confirm our independent test results: Holographix’ custom surface-relief diffraction gratings provide superior diffraction efficiency with improved stray light performance! In-house design and development capabilities coupled with unique replication technology allows us to develop state-of-the-art custom diffraction grating-based solutions. High quality, custom diffraction gratings with repeatable performance! Holographix is ISO 9000:2015 certified, and proudly manufactures all optical components in the USA. 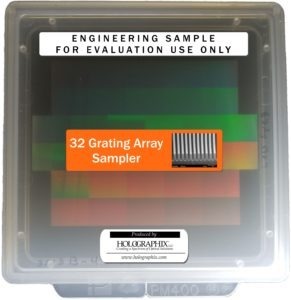 Order a 32 element diffraction grating sampler. Learn more about our diffraction grating manufacturing capabilities in our product brochures. For any questions or to request a custom diffraction grating quote, please fill out the contact form below. Why Choose Holographix as your Diffraction Grating Supplier? Holographix offers customers a turnkey solution to their diffraction grating-based optical system needs, from design of custom diffraction grating masters to reliable and repeatable manufacture of replicated diffraction gratings and opto-mechanical assemblies, in production quantities. In order to provide high quality custom replicated diffraction gratings, a high quality master mold is required. Holographix offers mastering services for the production of these molds to facilitate the manufacture of custom replicated gratings. Holographix specializes in the design and production of high quality custom surface relief diffraction gratings operating in transmission and/or reflection mode. We provide several types of custom master gratings including holographic, binary (E-beam), ruled, slanted-groove, and blazed. Holographix manufactures custom diffraction gratings using our proprietary replication technology. Diffraction gratings are replicated from custom Holographix supplied, or customer provided master molds. 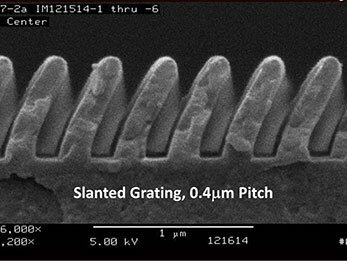 Our replication process is capable of producing a wide spectrum of groove pitches and aspect ratios. Holographix’ replication process is also suitable for a variety of groove profiles including sinusoidal, rectangular (binary), blazed, multilevel, slanted or undercut, as well as high aspect ratio profiles for both transmission and reflection applications. Holographix is well positioned to add value to our custom diffraction gratings by taking them through the next steps in your assembly process. Holographix has the capability and experience required to support your production requirements ranging from simple component/mount assemblies to more complex assemblies involving the build-out of fully aligned optical systems.